Access Media enables our clients to easily and cost effectively communicate with people who have hearing or vision difficulties, or where the audience is from different cultural or linguistic backgrounds. Access Media provides a complete range of accessible media services - captions, audio description, transcripts and language services for all media platforms – television, DVD, cinema, online video, print and the web. Over 3.55 million Australians are deaf or hearing impaired. Over 575,000 Australians are blind or vision impaired with more than 70 percent over the age of 65. Commonwealth and state government policies under the Government Online Strategy, require that all Government department and agency websites are compliant with WCAG 2.0 AA. 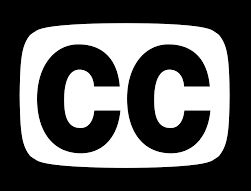 In simple terms, this means that all government media content on the web needs to include captions for the deaf and hearing impaired and audio description or descriptive transcripts for the blind or visually impaired. Almost 3 million Australians speak English as a second language and of those, 18% do not speak English well or do not speak English at all. Captioning from Access Media on Vimeo.